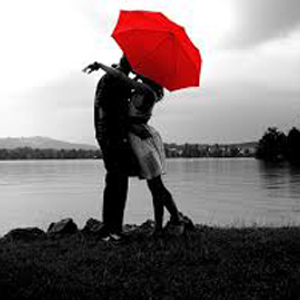 Marriage is the major decision of life and for happy marriage life every bony needs a good life partner. Can any one judge the whole life happy with some only after spending some time with him or her, according to vedic astrology matching horoscope is the best way to choose right life partner. Gun milaan and koota milaan is the tradition ways to matching horoscope and boy and girl should have maximum numbers for tradition matching of horoscope, but some times after traditionally matching horoscope there are problems in marriage life as in matching horoscope only gun milaan and kootas are not to be considered but there many other aspects in horoscope must be checked properly in matching horoscope process like age of spouse, for long happy life, good income yogas should be in spouse horoscope so that batter living of life is there, good yogas of children should be there so that healthy child can be bared. Before Matching of the horoscope it is necessary that both horoscope of the girl and boy be individually examined as regards 7th and 8th house. 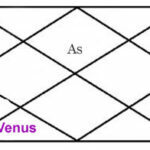 In this particular emphasis should be given to the role of Venus, the Karka for marriage and Mars the significator of energy, force and sexual drive. It is also necessary to examine 4th house for mental peace and happiness in marriage life and 5th house for ability to procure children. Many marriages are floundered for lack of children. Horoscope should also be scrutinized for a healthy and long life; his horoscope is good for earning decent amount of money to be able to support the family. First judge the longevity from strength of 8th house. If the ascendant and its lord strong also if the lord of 8th house does not possess more strength than it, there will be good longevity. Strong benefics posited in quadrants indicate longevity. When there is no longevity in either chart, the horoscopes should not be matched even even though they are in sympathy with each other on other counts. For a good and happy married life, 7th house, 7th lord and Venus should all be strong. 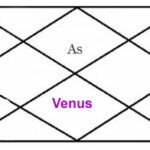 Affliction on the 7th house in the horoscope a male indicates diseases or death of his wife, while the affliction on 8th house in a female horoscope indicates the diseases or death of her husband. 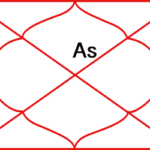 In case of female if there is an exchange of 7th and 8th lords, aspected by or in association with malefic or if lord of 7th and 8th are placed in 6th or 12th along with a malefic or get aspect of a malefic, it may cause widowhood. In such cases, she should be married to a male who has good longevity in his horoscope. 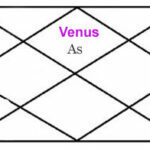 Venus should not hemmed between malefic or associate with them. If mars and Venus are in 7th that male or female concerned will be highly sexed and such a person should be mated to one who has similar instincts not one who has mercury and Jupiter in 7th house. There should be at least 6 months difference between the couple to avoid dasha – sandhi. If boy and girl have same dasha, boys dasha should proceed girls dasha, otherwise there is poverty, misery or separation after marriage. Samadasha places a heavy premium on the lives of the couple, If both chart promise long lives, health, happiness to both, samadasha can be dispensed with. Boys dasha should proceed in both have same dasha. Blessing of the malefic content papsamya in order to mitigate any vulnerability indicated by the respective horoscopes on the longevity of the partners. Papa is measure of the unfavorable effects of malefic planets Sun, Mars, Saturn, Rahu, and ketu situated in 1st, 2nd, 4th, 7th, 8th, and 12th house counted from ascendant, Moon-sign and Venus. 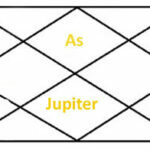 Of these, the 7th house in the boys horoscope and 7th and 8th houses in the girls case are to be weighed more carefully. Similarly among the malefic planets the papa magnitude is the highest for Mars and least for Sun. The objective is to ensure that both the girl and boy have approximately equal papa or absence of papa in their respective horoscope. This is known as equating papas or the malfeasance of both the charts.